The Nigeria Professional Football League quartet of Rangers, Rivers United, FC IfeanyiUbah and Wikki Tourists are in action again as they seek to progress in the continent’s club competitions. Rangers and United are competing in the Caf Champions League with FC Ifeanyi Ubah and Wikki in the Caf Confederation Cup. 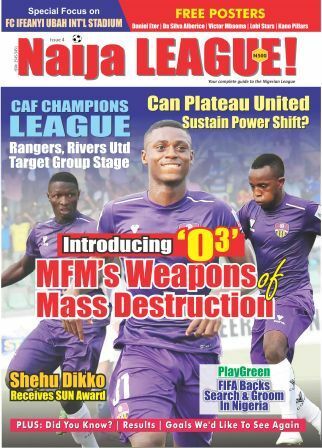 naijaleague.com.ng looks ahead to a crucial day of second leg matches for the quartet. After scoring an important away goal in Saoura, last Friday, Rangers, seek to consolidate at ‘The Cathedral’ in front of their fans. Interestingly, the fans will be excited Rangers host another continental game for the first time since May 2013, when they earned a slim 1-0 win over CS Sfaxien. The good news is the availability of new forward, Fortune Omoniwari, who missed the first leg. History will be made in Port-Harcourt as Rivers United play their first-ever continental match at the Yakubu Gowon Stadium. It’s another historic one for Stanley Eguma, who becomes the first man to lead defunct Dolphins and newly formed United into the continent. It’s the continuation of a fairytale story for the young club formed in 2015 as they seek to make an impact in Africa. A slim 1-0 advantage from the first leg is what they take into this match. Back with the cash of billionaire owner, Dr. IfeanyiUbah, the players will be fired for this assignment. Prince Aggreh, Tamen Medrano as well as Nigerian International and club captain, Ikechukwu Ezenwa, should inspire the squad for a historic day. Against all expectations, the Nigerians crashed in Freetown, but should be ready for a victory on match day. A lot is expected as Wikki have never advanced beyond their first stage in their previous African adventure. Twice in 1999 and 2008, the competed in the defunct African Cup Winners Cup and made their debut in the Confederation Cup without making an impact. The home fans will look up to Shammah Tanze, who returned from trials in Norway early enough to make the trip to Freetown for the first leg.